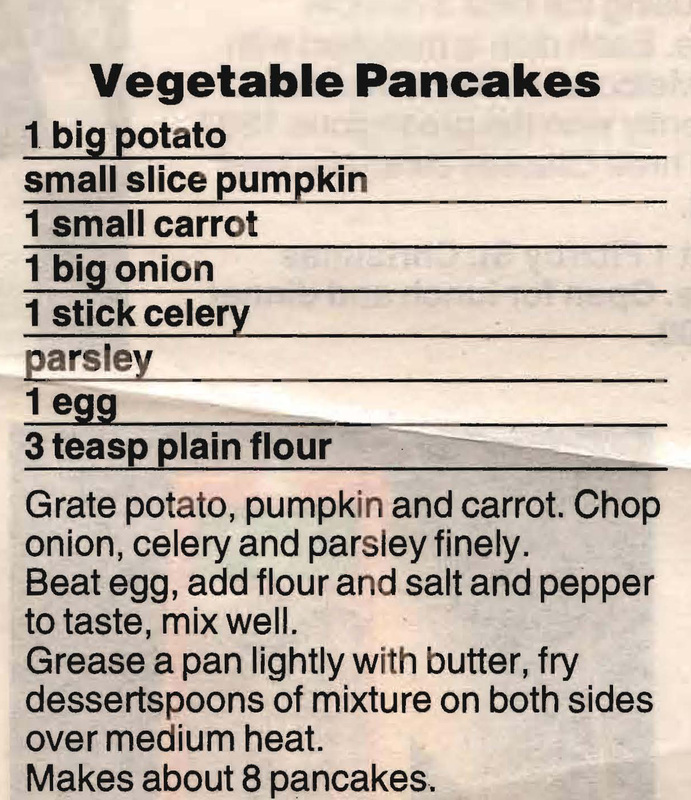 I can’t decide if these are pancakes or patties as there doesn’t seem enough flour in them to make them pancakes. Don’t really think it matters though as it still a great way to eat vegetables. Every time I pick my granddaughters up from school and take their lunch boxes out their school bags I’m astonished at how magnificent lunchboxes are these days. When I was at school my lunch was a sandwich wrapped in lunch wrap and piece of fruit which Mum into a brown paper bag. Unsurprisingly squashed sandwiches and squashed fruit were often the result. 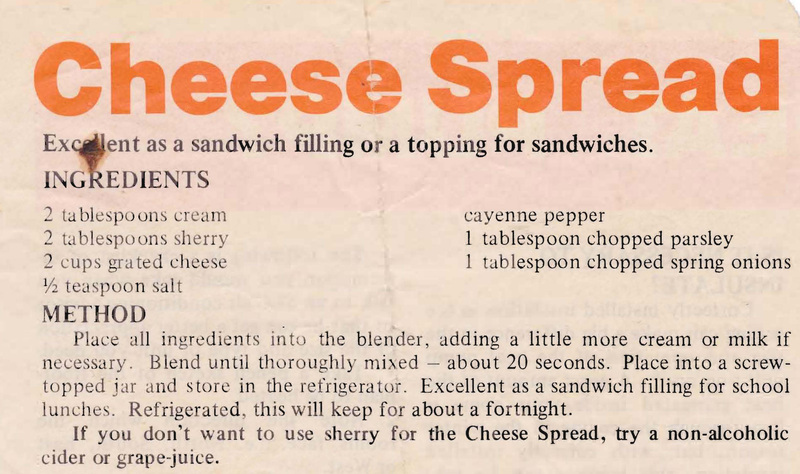 Mum was also inventive with sandwich fillings, banana and sultanas, vegemite and celery, cheese and beetroot and sometimes a homemade cheese spread. 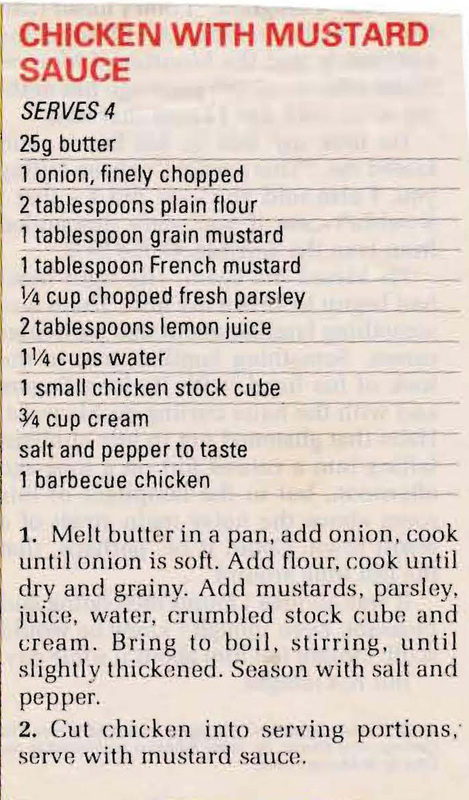 Not sure that this is the recipe she used as she wouldn’t have put sherry in her kids sandwiches, but it might be tasty for bigger kids lunches at work or uni or as a dip. 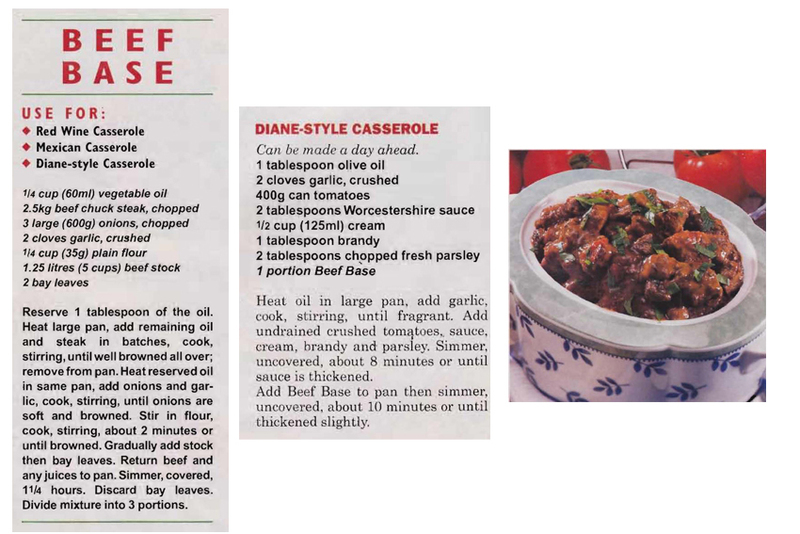 A strange name I know, but this oven bag recipe for beef rolls looks quite tasty. 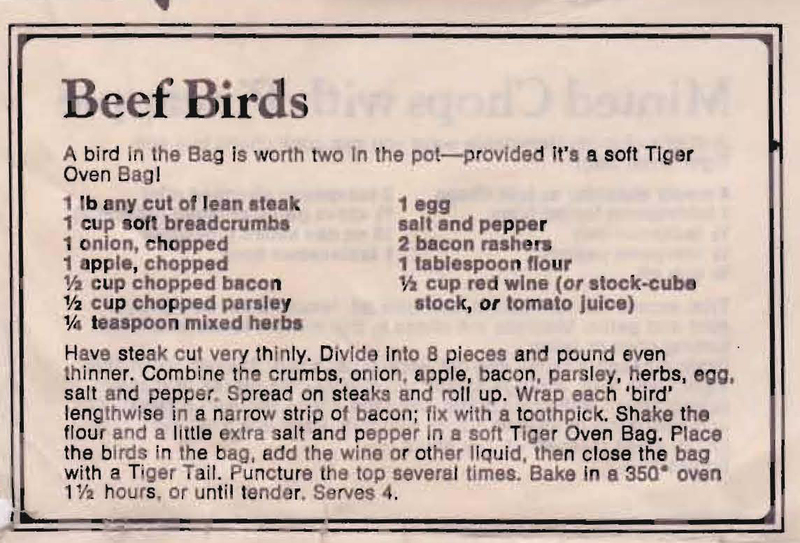 I don’t think there’s really any necessity to use an oven bag if you don’t have one, they would work just as well in a casserole dish. You need 500g of steak and should cook them at 180o.